If you’re getting ready to retire or have long since left the workforce, you may have considered downsizing your family home. There are numerous benefits to ditching your four-bedroom house for something-sized right for a pair of adults. 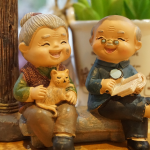 Keep reading on why downsizing is a good idea for seniors and how to get the job done without losing your sanity along the way. Whether it’s you doing the move or you’re simply gathering information for a senior loved one, your first priority is to research your/their target location. You’ll want to get an idea of price as well as neighborhood amenities. For example, in Atascocita, Texas, homes have, throughout the last month or so, sold for an average of $210,000, a price point that’s still affordable for most seniors. In addition to pricing, you’ll also want to check the crime map at SpotCrime.com — Fortunately, this area typically enjoys low crime rates. It’s also in close proximity to amenities important to seniors, such as boating and fishing on Lake Houston, state-of-the-art hospitals, and ample shopping. Moving is stressful, there’s no doubt about that. It can also be emotional, especially if you’re leaving a home where you’ve spent the majority of your life — and watched your children grow up. Keep in mind that you don’t have to do it all at once. Pace yourself and be realistic on your time frame as you begin to sort your belongings in each room. Remember, you did not fill the closets in a day and it’s going to take time to decide what to keep and what can go. It will help, however, if you already know the size of your new home. This will give you an opportunity to purge large furniture items that won’t fit in your smaller house. Just behind the location, the design of your home is the second most important factor to consider when moving in your golden years. This Old House recommends looking for a home with a universal design. This will include having easy-to-use door handles, slip-resistant flooring, handrails on the stairs, more-than-adequate lighting, and added safety features in the bath. If you’re having trouble finding a home that meets all your needs, but it’s affordable and in a location that you love, consider discussing modifications with a Certified Aging-in-Place Specialist. An aging-in-place specialist undergoes continual training to understand home features of specific interest to seniors. Their services can help you identify ways to minimize falls and make your home more navigable for potential mobility issues that could arise. You’ve made the decision to move, picked the home, and sorted your belongings. Now it’s time to start packing. Tackle the small jobs first, which includes packing winter clothes or bubble wrapping important glassware. Ask for help from friends and family and make sure to pack a box of essentials for your first few nights in your new home. If you’re uncomfortable packing your own belongings, hire a moving company to do it for you. This will further eliminate the potential for injury associated with carrying heavy objects while trying to navigate up and down stairs and through tight corridors. Although moving day can be emotional, keep in mind that having less space to care for will give you an opportunity to live life to the fullest. You won’t have nearly as much to clean and you’ll save money on everything from home maintenance to utilities and property taxes. This can help you free up time and cash to pursue personal passions or to simply relax and enjoy retirement.